Make a Recycle Treasure or Tool Jar! Unique Ideas, how to instructions, samples. 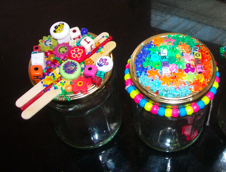 Make a treasure jar for holidays, mothers day, fathers day, everyday. Simple and Easy. Lots of fun for any special person made from cups and paper rolls. "World's Best Mom" "World's Best Dad" "World's Best Brother" or "Best Soccer Player". "World's Best Planetpal" Possibilities endless and so cute! Simple idea-paint them one color or paint a design. Just an old tin (any size) and a handle. A Key (Chain) That Will Stay Close to Dad's Heart! Rolled Paper Picture Frame or mirror: Another great frame idea. Roll magazine paper or junk mail and glue it on an old frame or mirror. An upcycled gift! These sell in stores for upwards of 15.00! Looking for more interactive things to make here at Earthzone? 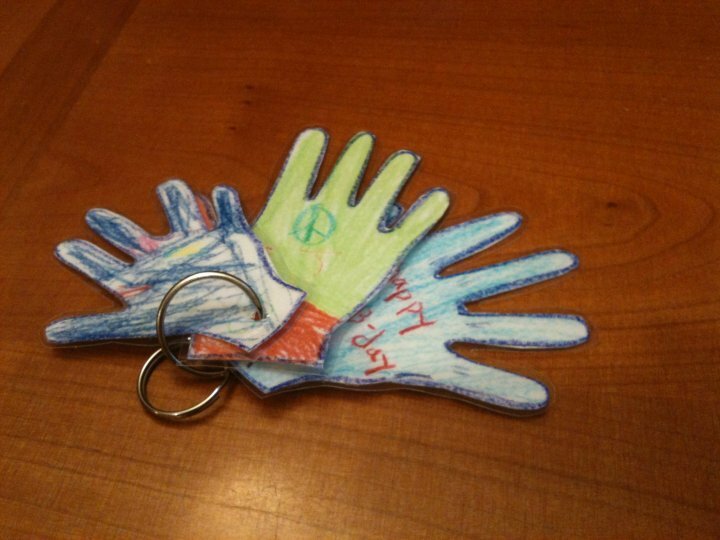 This simple project can be done with any age kids as the hands will be reduced in a copier. Can be done with one child or a handful. Use recycled materials, trace hand onto recycled paper or cardboard, reduce in a copier, then finish this great craft: Paint it. Decorate it. Laminate it. 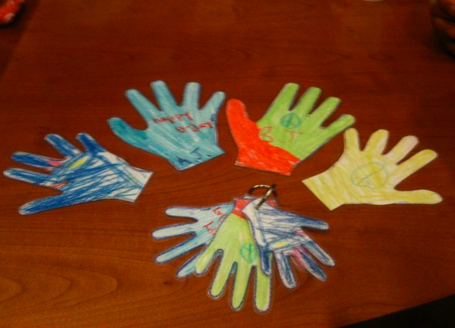 One hand for each of Dad's treasured kids. 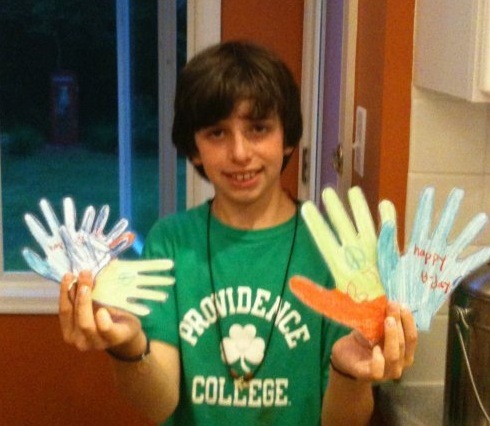 *Important: make sure you help small children use any sharp objects you use to make the holes or predrill for them!